I know it is great to read the posts which tell you about how the place felt and how beautiful it was. Sometimes all you want to know is how to get there and other practical details. Lonely planet can definitely help but they are usually outdated. In case you are out driving to these places, this might not be very useful to you. The best place as a base for these would be Hubli or Bijapur you can catch a bus for either of these from Hyderabad or Bangalore. Train will take you directly to Badami from Bangalore but there are just two trains and might not suit everyone. Ex Bangalore there are quite a few trains to both hubli and Bijapur. 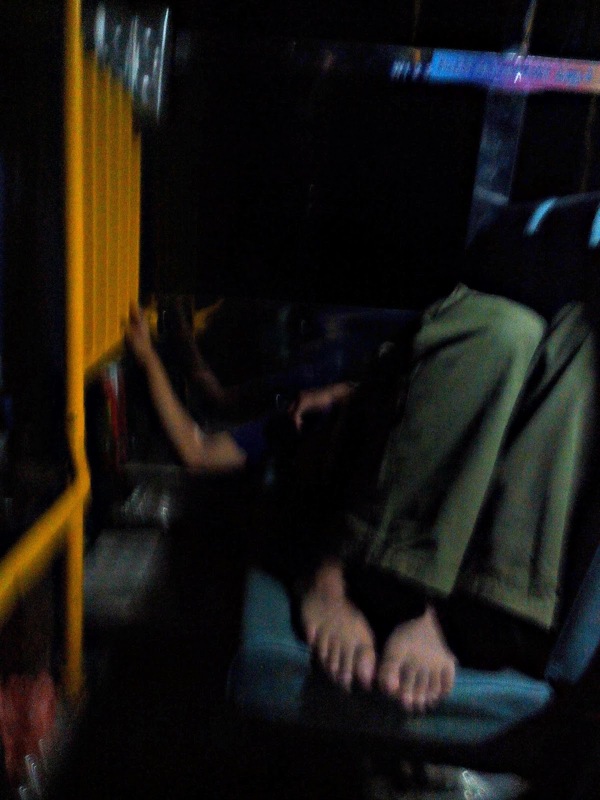 We took a bus from Hyderabad to Bijapur (11:45pm-6:00 am) 500/- for an AC bus. The bus was really comfortable and I was looking forward to the return journey. KSRTC bus from Bijapur to Kerur- 80/-. It is quite difficult to find a direct bus to Badami. Kerur is on the highway just next to the secondary road which leads to Badami from highway. You’ll find the bus every fifteen minutes or so. The bus takes around 2 hours to get you 98 km. 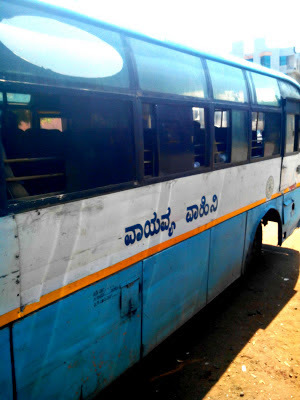 KSRTC bus from Kerur to Badami-20/-. Every 10 minutes you will find a bus to badami and all of them will be filled. 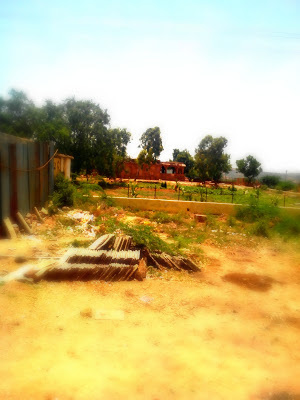 We stood for the 30 minutes the bus took for 20 km to Badami. There are a lot of government buses and private minibuses from badami to pattadkal which leave badami bus stand every 15 minutes or so. Charges are 20/- for Ksrtc and 15/- for private. Return journey is the same except you will not find and government bus from Pattadakal to Badami private buses though are easily available at a few minutes walk from the temple complex. It is better if you get off when you see Jain temple board and then go to the main temple complex. We had booked our bus for next day so we took government bus costing 315/- (YAY!!) at 8:00pm and reached at 6 in the morning. The bus was really comfortable. There are buses to Hyderabad at 7, 8 and 9:30 in the night. Last bus is the executive one but without AC. Local buses will take you from bus stand/ railway station to gol gumbaj in Bizapur. Auto rickshaws and tongas are easily available in Badami to get to the caves. Time taken depends entirely of what you see. We had great plans which included Gol Gumbaj and a few places in Bijapur. All of that took a backseat when Badam and Pattadkal were done by 2:30pm. 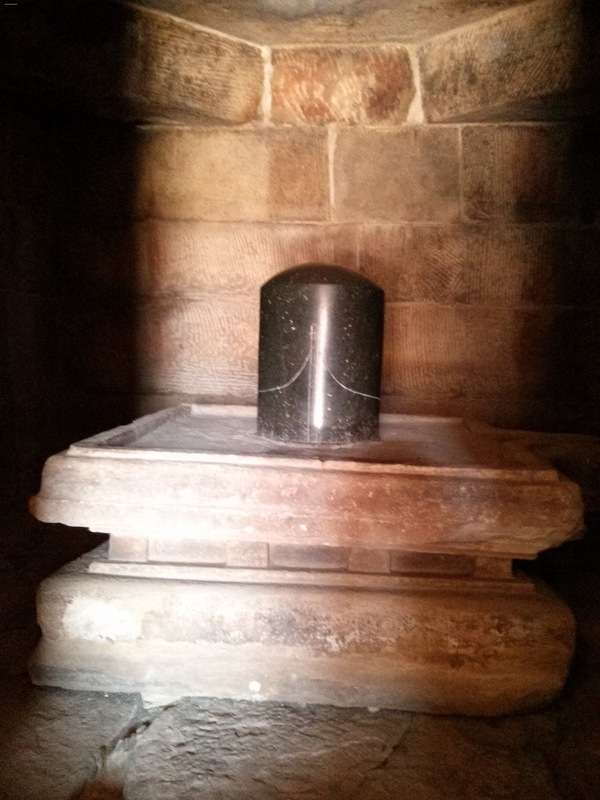 Hoping we will be able to visit GolGumbaj the same day we rushed to Bijapur but couldn’t reach in time. So yes badami and pattadakal can be done in a day easily and we walked all the way to caves from bus stand. My suggestion is if you are coming in from Bijapur visit Gol Gumbaj first and then travel. The visiting window is 6-6, build upon it if you are hard pressed on time. We did not visit Aihole as I hope to trek up to the temples someday so I can’t really give first hand info on it try it here. Where to find an accommodation? There are quite a few options both at Bijapur and Badami. Prices range from 800 for an AC double (Hotel Lalit near Bijapur bus stand) to 1500 for a similar room. 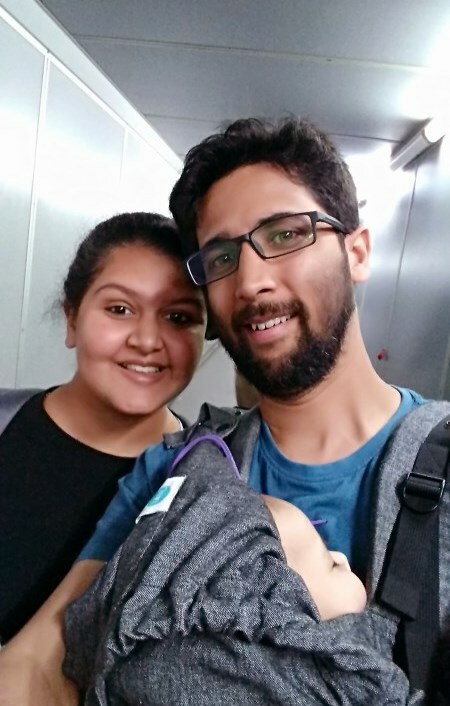 We decided to give it a go even though we had almost decided to leave for Hyderabad the same night. We didn’t find any accommodation, yes no room I guess we could have had the dorms but that’s definitely not how we travel. If you want to book KSTDC hotel at Bijapur call in and book they just have four rooms. I have to admit I love my idlis and dosas though I am not a south Indian. Karnataka definitely did not disappoint me. Our breakfast at bus stand canteen of idli and poha both served with sambhar and chutney was filling and cost just 38/- combined. We sampled namkeen from badami for snack and it was good. 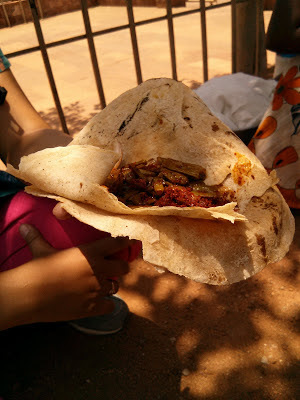 Johar roti at Pattadakal was really nice and worth a try. We did not really sit down for lunch instead filled ourselves with fresh sugarcane juice. The sugarcane taste distinctly different from what we are used to in Hyderabad. You would find jalebis and pakoras being fried along the road and can even snack on roasted peanuts. Our evening snack was a dosa with sweet lassi at Hotel Lalit both of which were quite good. Dinner came at a dhaba which was an overdose of chilli and salt but was somehow tasty. Cheap and good food is easily available, hygiene may be a problem. When we told people about the trip we were warned that it will be too hot but it could not have been more false. I think we were far too lucky, entire day we walked around and not once did we sweat until we sat in the bus to Bijapur. I suggest give it a try if it’s too hot use just take care. This had to be one of those trips when I felt like no one was staring at me. Even as we walked the roads in Bijapur there were no issues. Last note, public facilities are not really good and better avoided if you plan to take a room, especially the female toilet at Bijapur bus stand. I couldnot locate any loos at the caves or temple complex. Can you add to the information I have here? Would you Like to know something about the place?